Hail and Wind Storm Damage | Lighthouse Restorations Inc.
One of the most common questions we get after a storm is, “Did my roof get damaged after the hail storm?” Many homeowners do not realize that hail can “damage” your roof even when you cannot see ripped or blown off shingles. 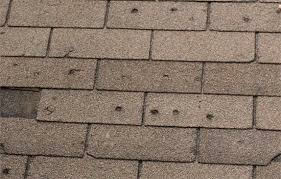 Small divots or indentations not visible from the ground can take years off the life of your roof shingles. Even small hail can have a damaging affect on your roof. 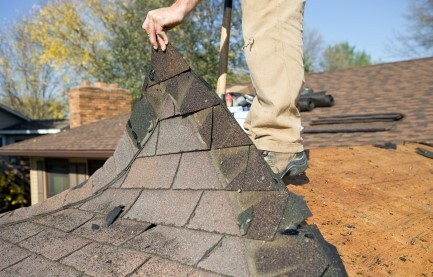 The only way to be sure is to have us do a free inspection of your roof after the storm. Insurance companies are very aware of the damage hail can do, and will in many cases pay to have it replaced. 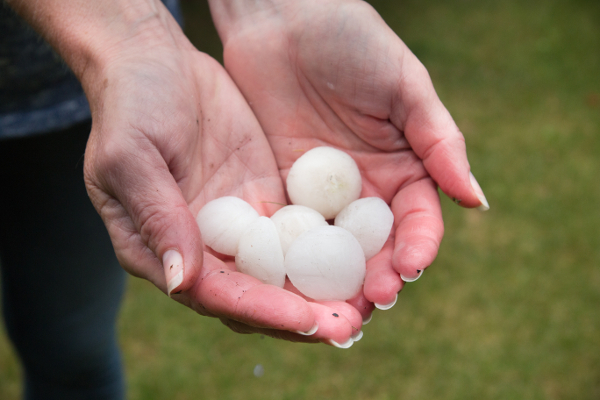 We are working with Customers and their Insurance Companies to re-roof Hail Damaged homes. Once approved as "damaged by hail" the Insurance company will pay for your new roof, less your deductible. We recommend the complete tear off of your old roof… at no extra charge! We highly recommend the complete tear off of your shingles down to the plywood. Over time the underside of an older roof may produce moisture resulting in mold build up. When new shingles are installed over existing old shingles, we are not able to inspect to see if the plywood sheathing has been compromised and if the sheathing has rotted out in areas of the roof. The other advantages of tearing off your old shingles are (1) The new shingles “lay” smoother and look better, (2) It is much less likely that high winds will blow off the shingles, (3) The new shingles wear longer when they are not nailed through the old shingles, and (4) You do not have the excessive weight of 2 or more rows of shingles. And the good ﬁnancial news is we do not charge additional money to take off and haul away your existing shingles. We are a Platinum Preferred Owens Corning roofing contractor (one of the top 1% in the nation). We use the quality roof shingles of Owens Corning... the best name in the industry! Thickness of the shingle and wind storm rating are important factors when choosing which shingles you will put on your home. We recommend this great product at no additional charge. This is a wise long term decision. We always error on the side of professional caution when it comes to making sure your roof is water tight after we complete your new roof. Going further than what most companies provide, we are interested in making your new roof water tight for a lifetime. We double many of the elements used to seal your roof from special caulking, ﬂashing, baby-tins, and Ice & Water Shield. You can be conﬁdent that we will always look out for your best interest when installing your new roof. 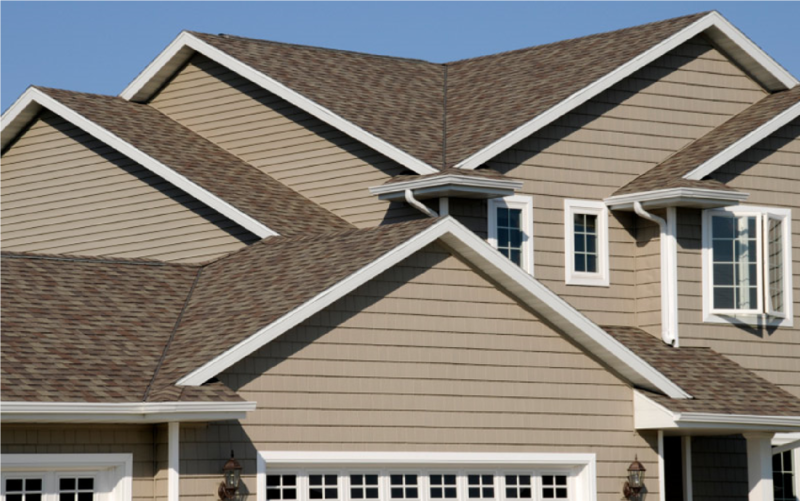 We protect your new roof every step of the way. We will not destroy your new roof while installing your new roof! Sounds crazy, but some companies are very careless when installing a new roof and actually create minor damage that compromises the longevity of your shingles. We supervise your job so you are 100% Satisﬁed… Guaranteed! With top notch supervision and the desire to give you an expert installation, we guarantee your 100% satisfaction. This is our promise to you. The result is a Job that is professionally done… and looks great!